The meaning is unclear. Our religious beliefs or lack thereof depend upon the circumstances of our birth. 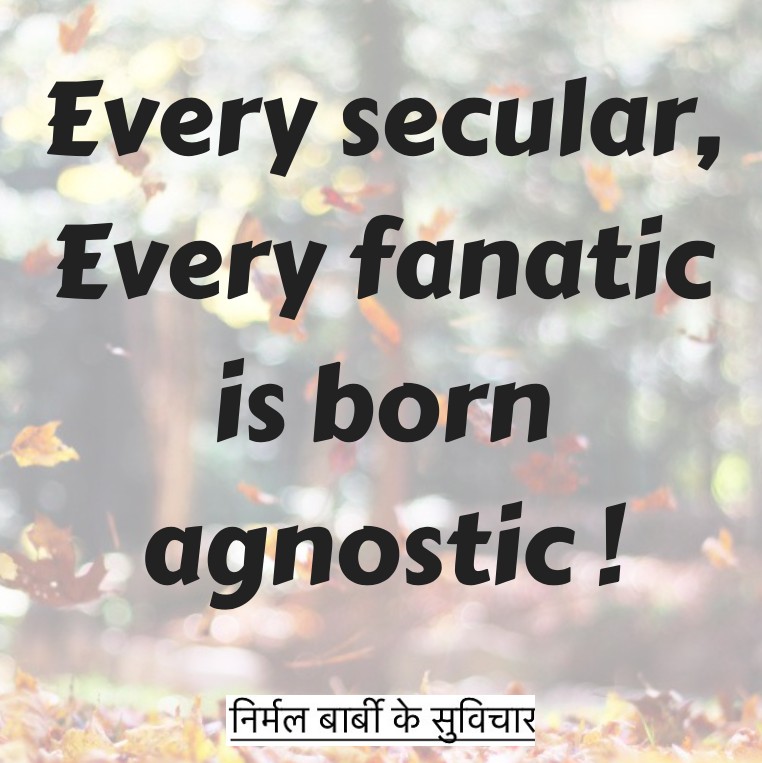 Rosaliene, what I meant was we “become” secular or a fanatic while growing up – we are all born without any religious belief and therefore agnostic.